TARGET PARTICIPANTS: Anyone who interfaces with business stakeholders or works as a Product Owner in a Scrum project. a. Access the online course on 'Scrum Product Owner Certified'. b. Download SBOK™ Guide online version. c. Schedule the three hour online proctored exam. 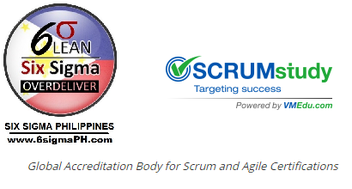 d. SCRUMstudy verifies the application; confirms the exam date & time. e. Take the two hour proctored exam online. 3. . Upon successful completion of the exam get an online certificate. a. Your name will be added to the SCRUMstudy Certification Registry. b. Download certificate. The physical certificate will be shipped to you. c. If unable to pass the exam, you can schedule again and take a maximum of two free exam retakes. Agile Expert Certified (AEC™) professionals possess a wide range of knowledge and understanding of the values, methods and intricacies of Agile methodologies, including Scrum. The purpose of the exam is to confirm participants have the ability to compare and choose the appropriate methodology in a given situation.